Silc PigÃƒÂ¯Ã‚Â¿Ã‚Â½ silicone color pigments are used for coloring Smooth-On's silicone rubber compounds including Mold MaxÃƒÂ¯Ã‚Â¿Ã‚Â½ translucent ÃƒÂ¯Ã‚Â¿Ã‚Â½ÃƒÂ¯Ã‚Â¿Ã‚Â½ÃƒÂ¯Ã‚Â¿Ã‚Â½T' Series, Dragon SkinÃƒÂ¯Ã‚Â¿Ã‚Â½ and EcoflexÃƒÂ¯Ã‚Â¿Ã‚Â½ rubbers. Silc PigÃƒÂ¯Ã‚Â¿Ã‚Â½ pigments also are also used to create mind blowing skin effects with systems such as Psycho PaintÃƒÂ¯Ã‚Â¿Ã‚Â½ and Skin TiteÃƒÂ¯Ã‚Â¿Ã‚Â½. 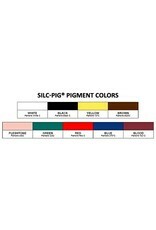 The NEW Silc PigÃƒÂ¯Ã‚Â¿Ã‚Â½ 9 pack gives you the opportunity to experience each color without spending a lot of money. 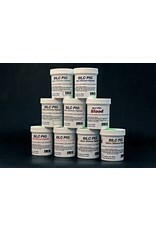 Silc PigÃƒÂ¯Ã‚Â¿Ã‚Â½ pigments are concentrated, offer excellent dispersion and consistent color. 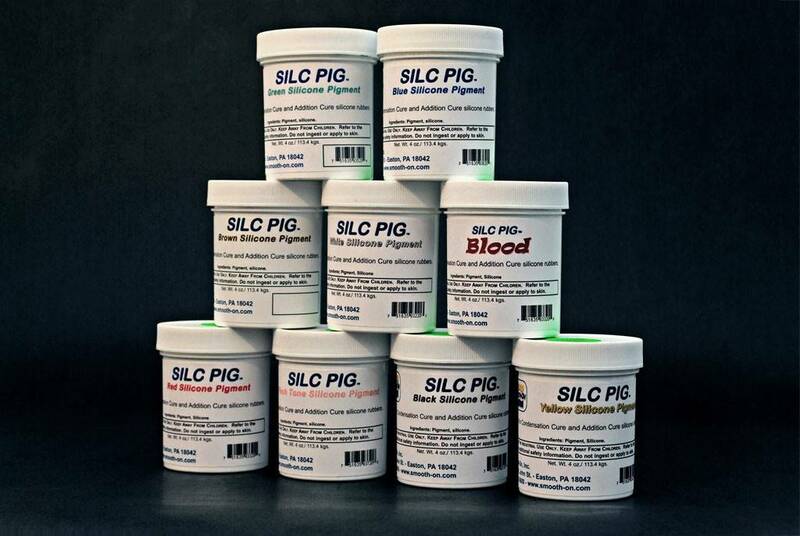 Silc PigÃƒÂ¯Ã‚Â¿Ã‚Â½ pigments are very concentrated and a very small amount of pigment will color a proportionally large amount of silicone. The more you add in proportion to the volume of liquid rubber, the more dramatic the color effect. Colors are given as a general guideline. Due to the different variety of computer monitors and screen settings, colors may not be exact.